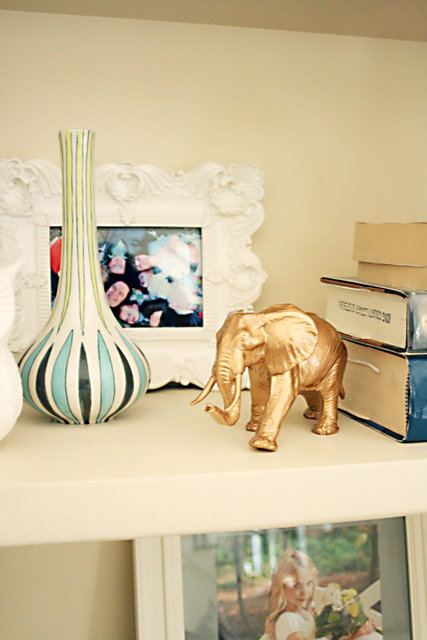 DIY: gold Metallic Figurines. 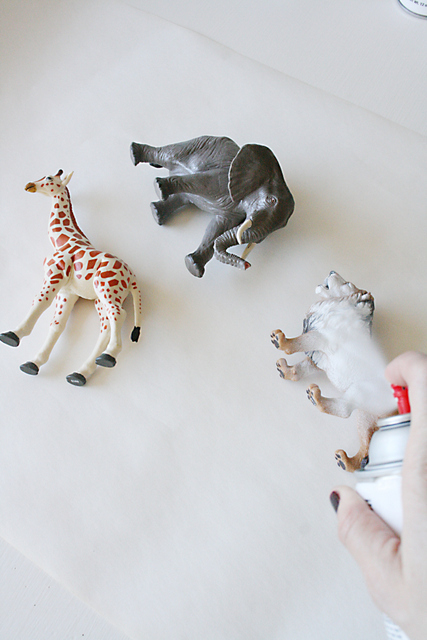 I’m sure you’ve seen all the spray painted animals going around the web. I love the idea especially because I’m slightly obsessed with Jonathan Alder’s shiny gold figurines. This project is really easy and fast. 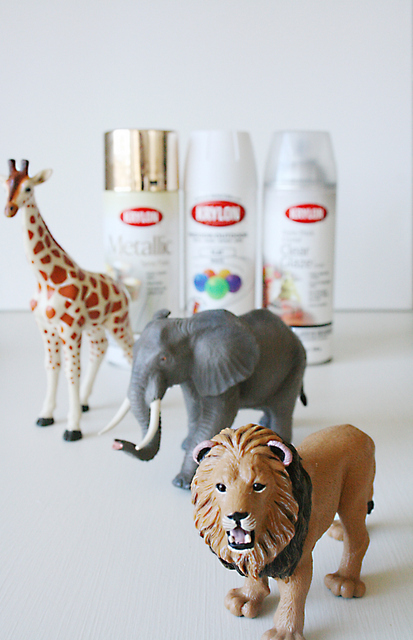 Just spray and dry, and before you know it you’ll have new table toppers or shelf props for only $5. As you can see, I had a little helper! 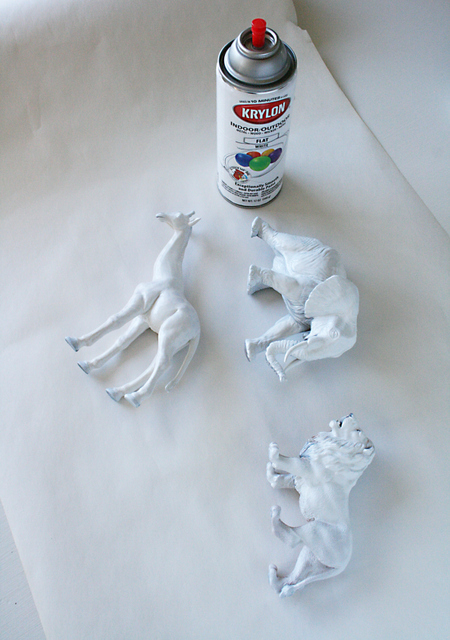 After protecting your work space with paper, spray your the toys with white primer and let it dry for 10 mins. 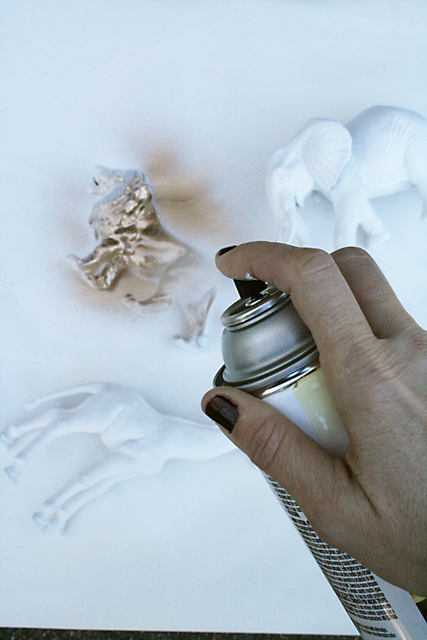 This will help the gold metallic spray be brighter and more brilliant Once they are dry, spray with the gold metallic spray paint. Let it drive. Then finish it off with clear glaze spray paint so it’s really shiny! 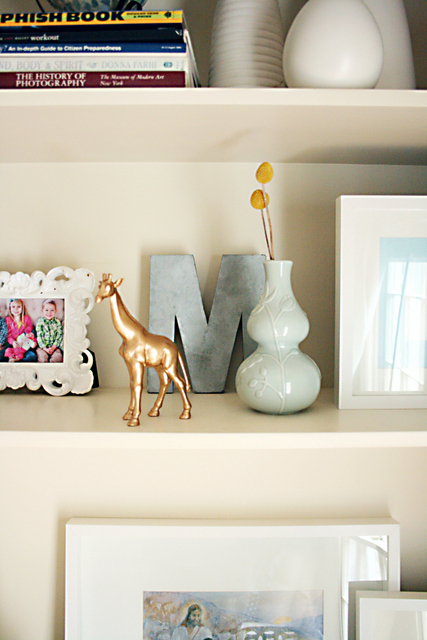 Once it’s completely dry, display on a book shelf or table. 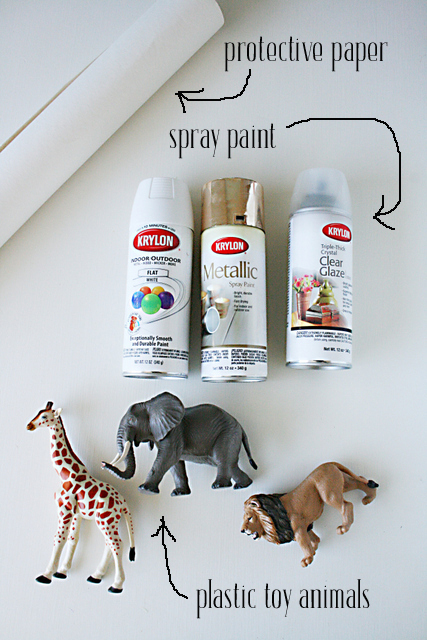 These are also good as party props or glue to the top of jars. The possibilities are endless. 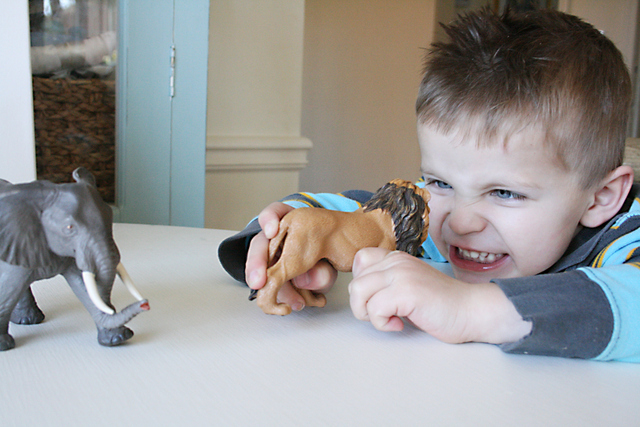 I actually love this idea to preserve some of their clay projects. Thanks! Good purchase for this price for spring or autumn weather. Stops wind well. I like its soft and comfortable feeling, also it is very nice to wear. Overall, really nice mens leather jackets that I purchase online.